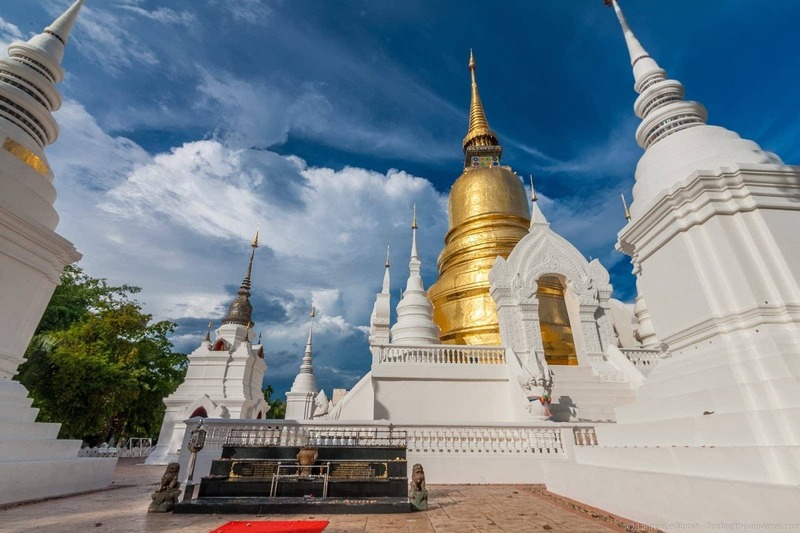 I’ve travelled extensively in Thailand, and it’s easily one of my favourite countries in Asia – the friendly people, the excellent food, the relaxed vibe all make for a fantastic country to travel in. 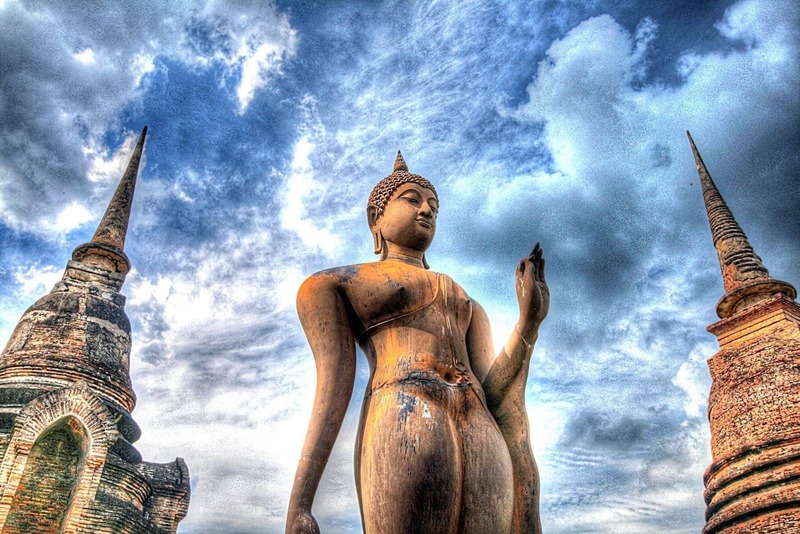 I’ve written a great deal on Thailand already, but haven’t put together a suggested Thailand itinerary post, as I’ve done for other many other countries like Sri Lanka, the UK and New Zealand. Time to change that! 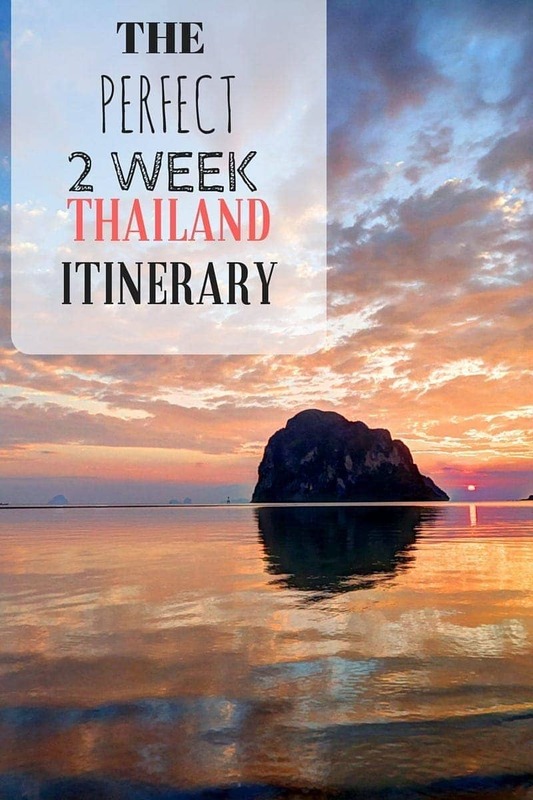 Here’s everything you need to know for the perfect 2 weeks in Thailand, including information on getting around, the food, cultural considerations, budget, where to stay in Thailand – and lots more! Enjoy, and pop any questions in the comments at the end. Let’s get started. 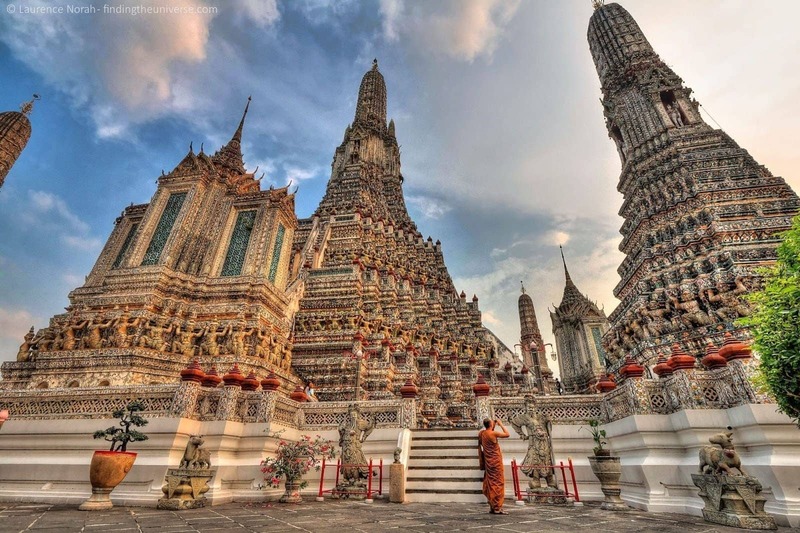 Now, on with the detailed Thailand itinerary for your two week trip. 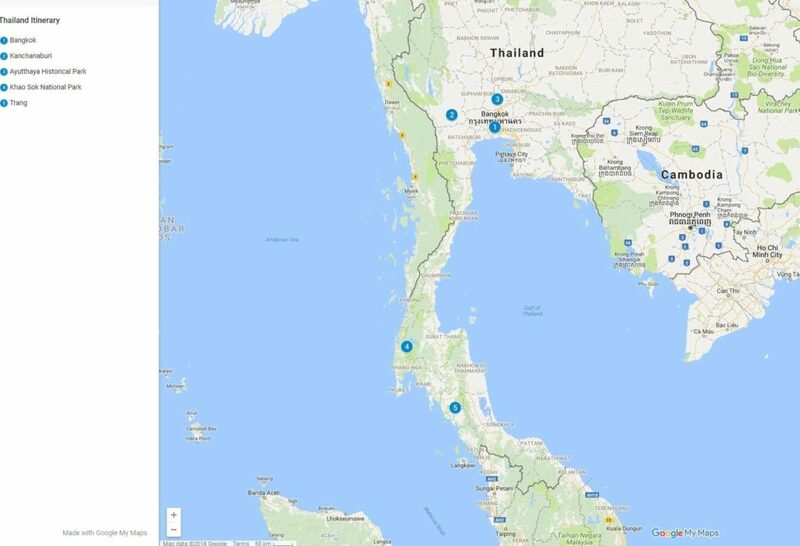 As well as the above locations, there are also a number of additional suggestions to help with planning your perfect Thailand itinerary! 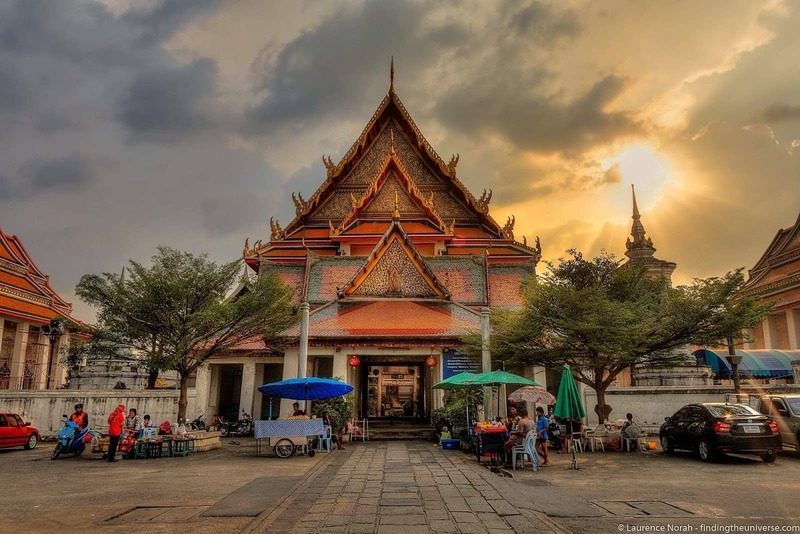 Finally, Bangkok has a lot of accommodation options – check out listings for Bangkok on booking.com here. I’d also recommend staying at a guest house on the river. The sunsets are gorgeous, and as long as you’re not visiting over a weekend or other festival, it can be a very peaceful and relaxing experience. We stayed at the River Guesthouse (here on Google Maps) which was quiet, a short walk from the train station, and a bargain. We can’t find a website or a way to book this property online (we just turned up), although a phone number is listed on the Google Maps entry that you can try. It is quite “rustic” and definitely a budget option, but we enjoyed it. 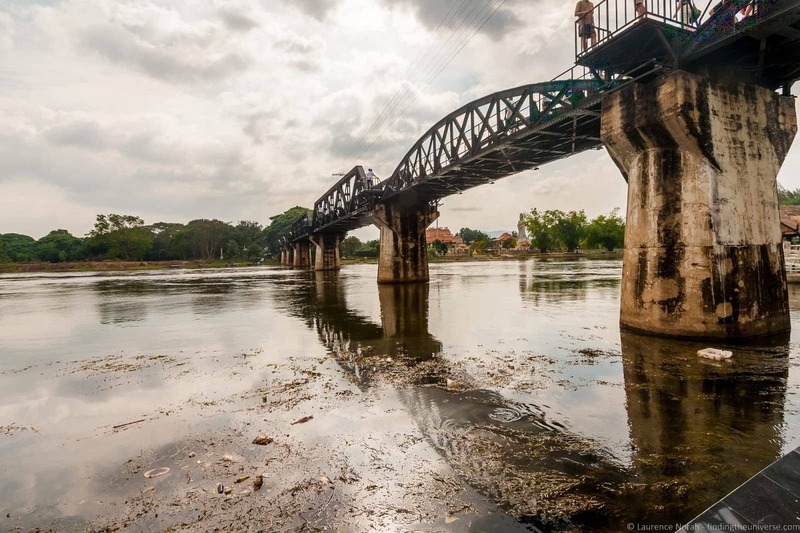 There are plenty of options in Kanchanaburi though, just check out the reviews to see what kind of vibe a place has before committing. 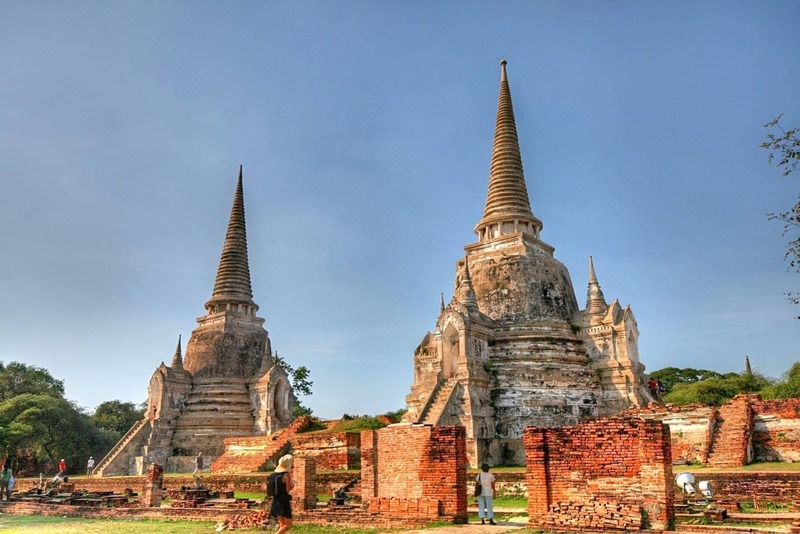 For your accommodation in Ayutthaya, see listings on booking.com here. 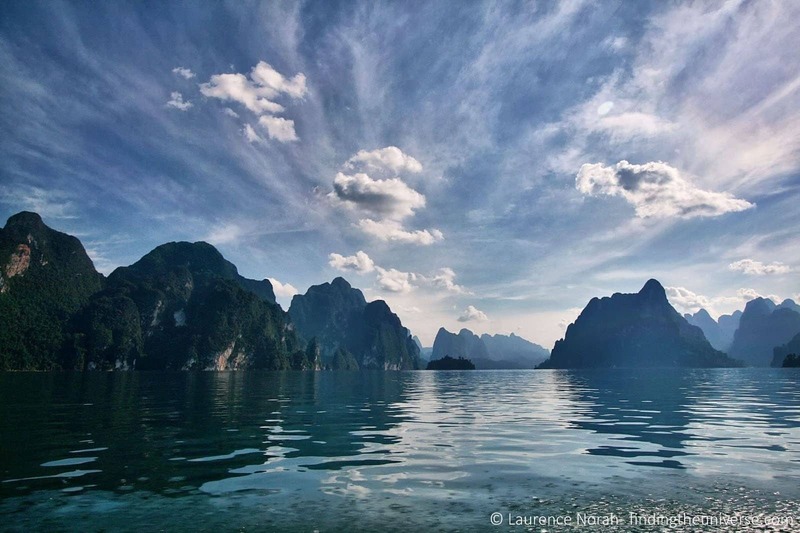 My highlight of Khao Sok National Park though was the visit to the lakehouse. At time of writing, there are around 16 properties to choose from, all of which offer roughly the same sort of thing – a series of floating bungalows on the gorgeous Cheow Lan lake, where you’ll be surrounded by limestone karsts and beautiful jungles, with the lake being the perfect temperature for a swim. I’d say that Cheow Lan lake should be the number one priority for any visitor to Thailand, that’s how much I enjoyed it there. To visit, you need to book in advance as you need to get a boat to the lakehouse. We stayed at Smiley’s Lakehouse which offered reasonable accommodation including en-suite facilities. There are quite a few lake house options to choose from depending on your budget, so take a look and see what works for you. We also stayed in the jungle, at Smiley’s Bungalows, who arranged the lake house and transfers. Here we went trekking in the jungle, learnt all about leeches, and relaxed. 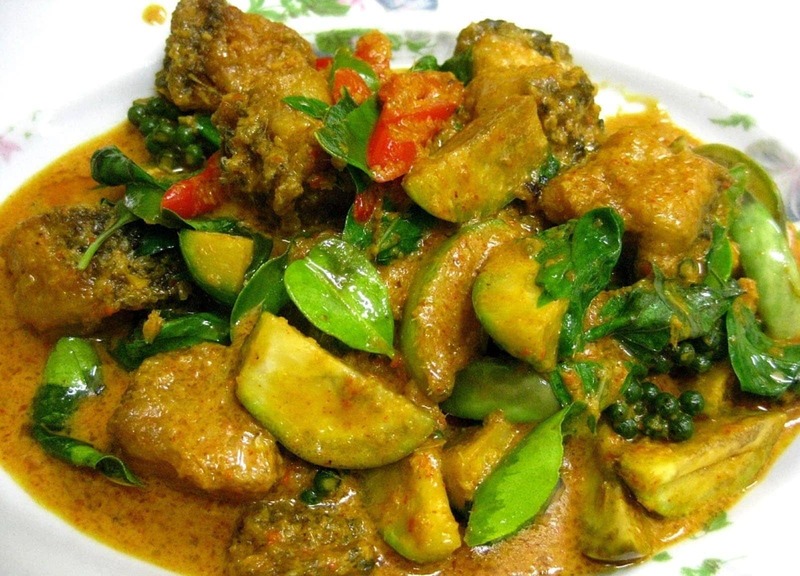 Also, when at Smiley’s Bungalows, do try the Jungle Massaman curry – it’s excellent! 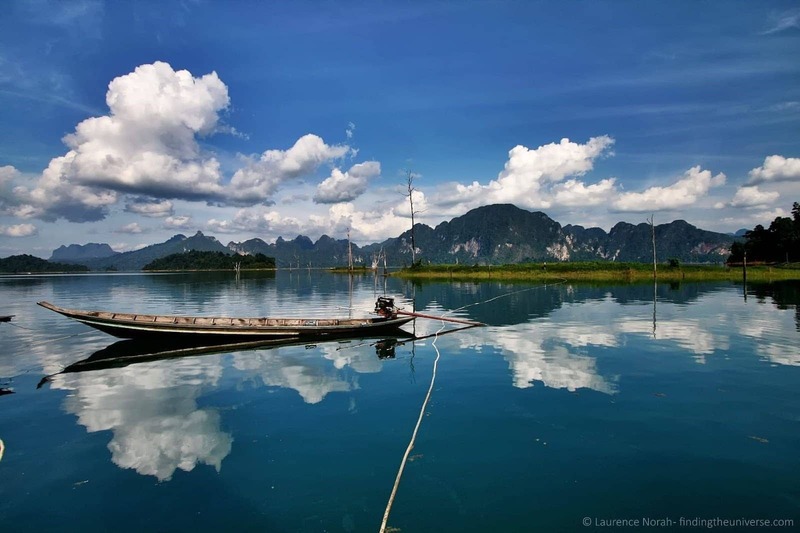 You can read more about my thoughts on visiting both the Cheow Lan Lake in Khao Sok National Park and Khao Sok jungle, and for even more reading, check out this post from another travel blogger on how awesome she thought Khao Sok was. Here’s a map of the destinations visited for reference, which you can see on Google Maps here. 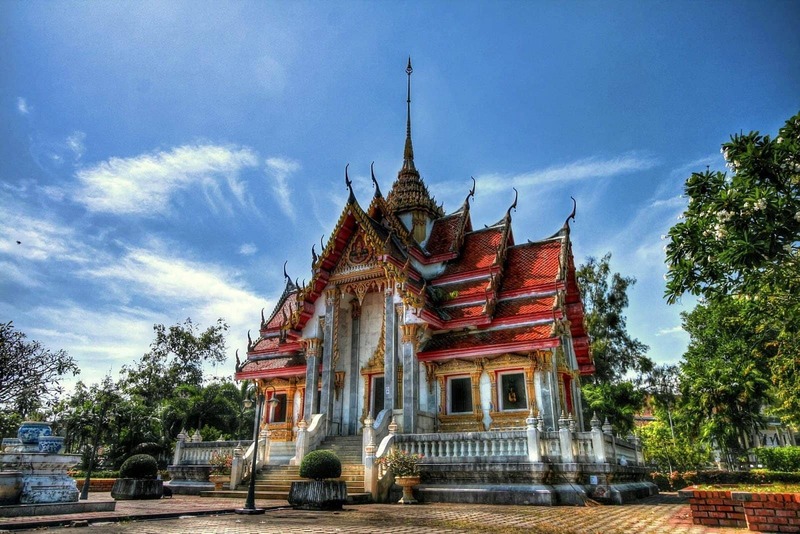 In case the above Thailand itinerary doesn’t check all your boxes, or you were looking for a longer itinerary (or you just want to try and pack more in! 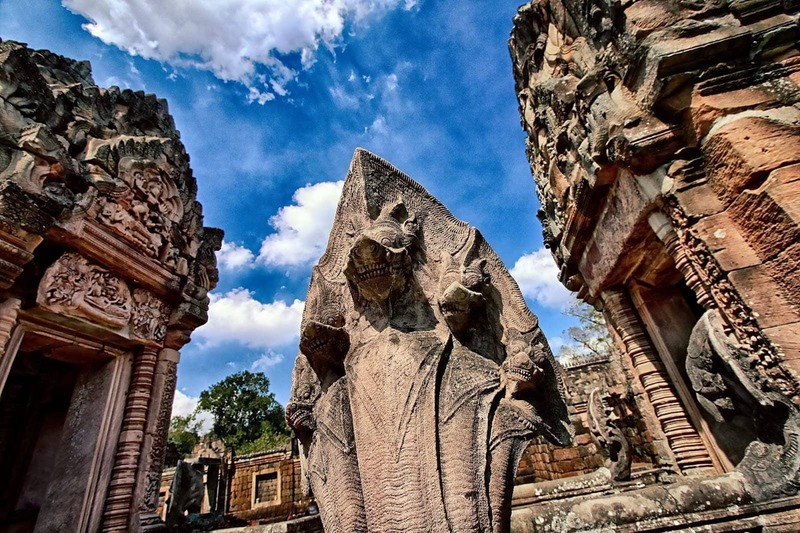 ), here are some more of my favourite Thailand destinations for you to think about adding to your itinerary. 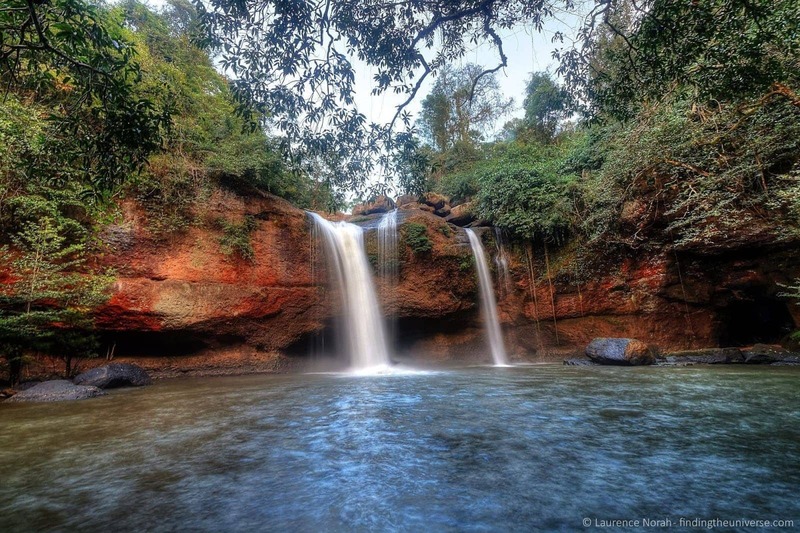 Finally, right near the top of the country is Chiang Rai, inside the infamous golden triangle. 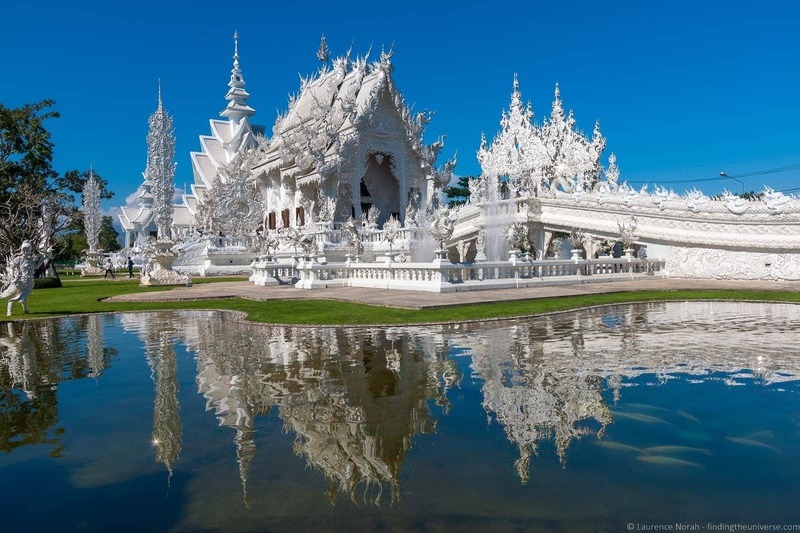 Chiang Rai is particularly noteworthy – as well as for the opium trade – for two temples: the White Temple of Chiang Rai, and the Black Temple of Chiang Rai. These are two different but entirely epic temples / art installations, both of which are very much worth the journey north alone. Thailand has accommodation options to suit everyone, from swish luxury hotels through to backpacker hostels – and everything in between. 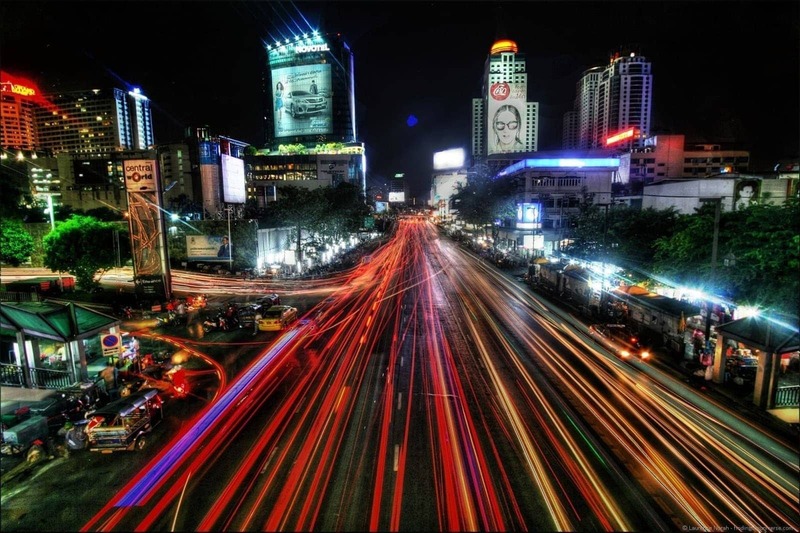 Prices vary depending on the popularity of the location, with Bangkok generally being more expensive than the rest of the country. You can start your property search here. We usually use booking.com when travelling to get the best deals – they have a wide range of listings and usually have great prices. 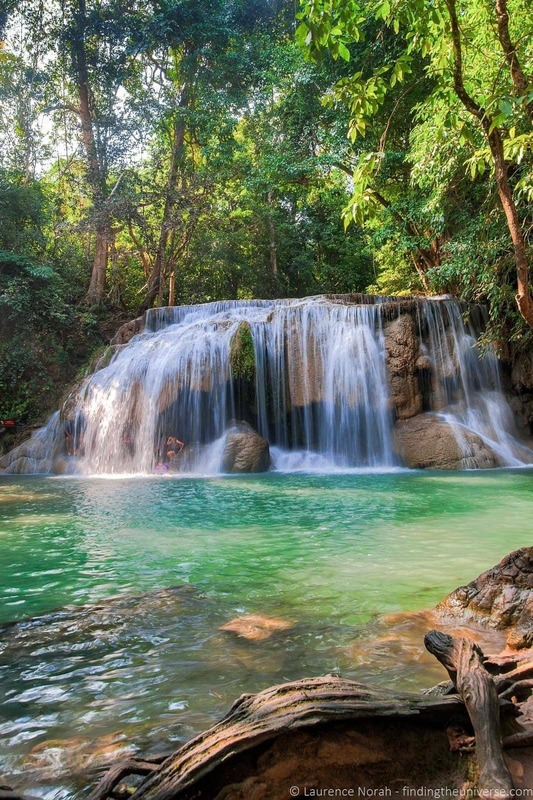 You can see listings for Thailand here. If you prefer an apartment, then we recommend AirBnB. We’ve tried all the others, and AirBnB consistently has the most options for locations around the world. Plus, if you’ve never used them before, you’ll get up to a $100 discount if you sign up with this link. (Discount varies by currency and if you choose to host at some point). 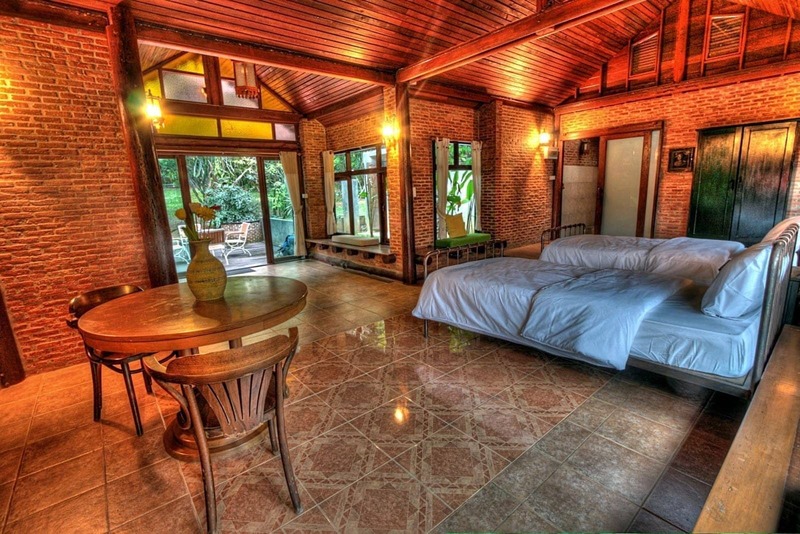 If you can’t find what you want on AirBnB, or you want some new options to try out, we have some great alternatives. We suggest trying VRBO, Flipkey or HomeAway.For more ideas, check out our post for the best alternatives to AirBnB. 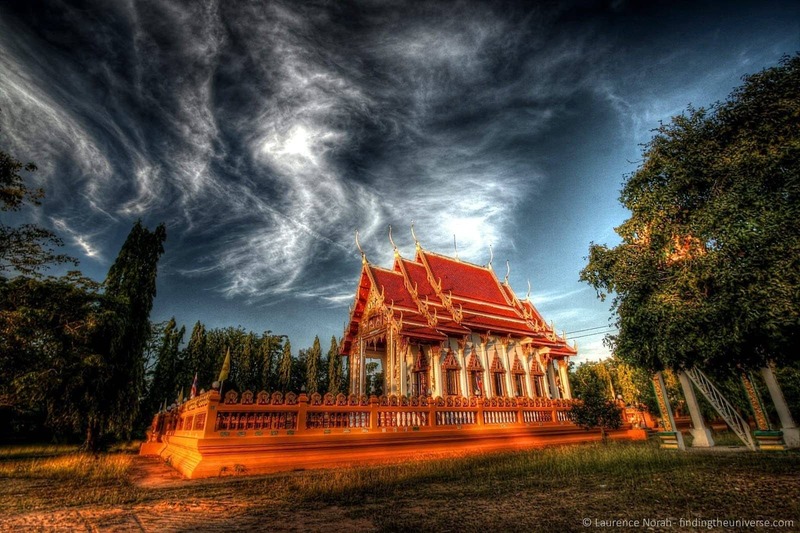 There’s a wealth of information on visiting Thailand on our site. Here are some of our more relevant posts to check out. Hey Agness, my pleasure 🙂 I hope you have fun in Thailand! 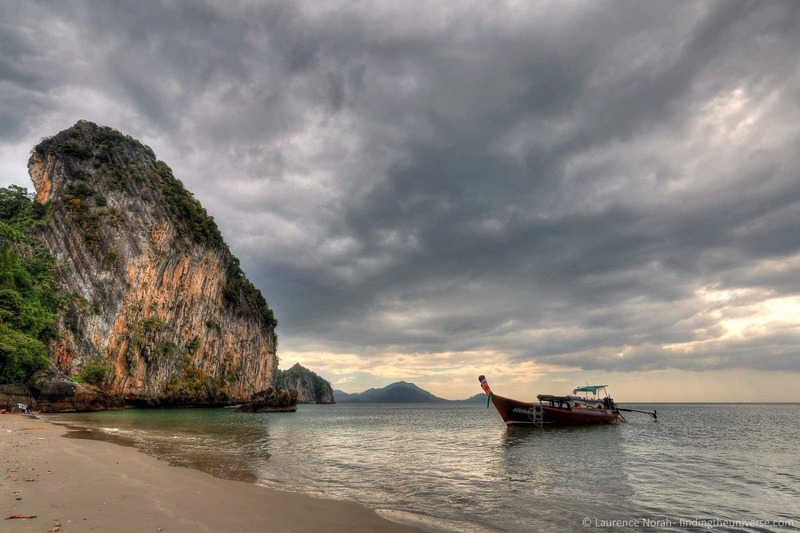 We don’t personally know any operators in Thailand who will build custom itineraries, although I’m sure they exist! For a group tour you could try someone like Intrepid Travel, but we’re not sure about private tours. Sorry not to be of more help! 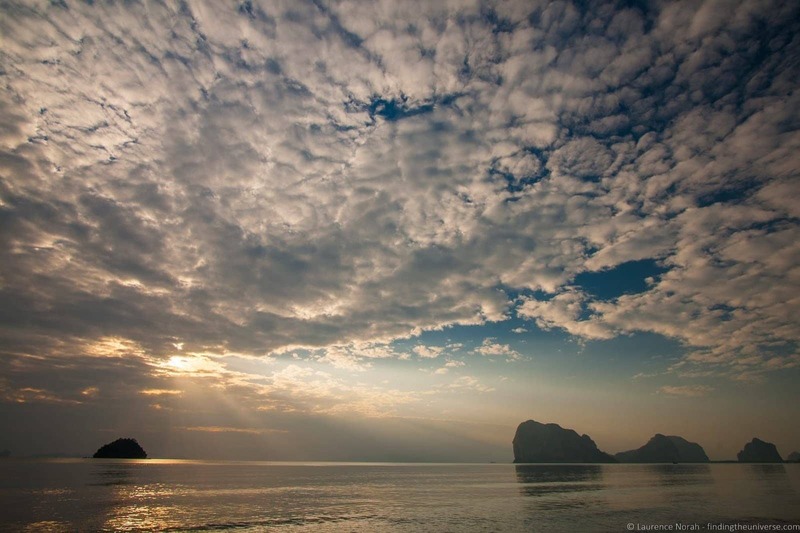 your article really makes me put Thailand in my top 3 destinations for next year! 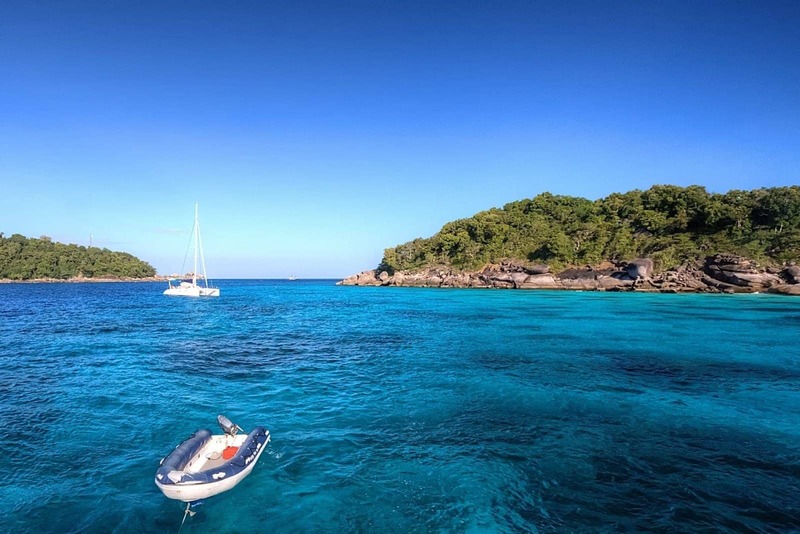 I have a friend who recently went diving there, she absolutely loved Koh Tao and its Sail Rock and generally the whole country – she spent three weeks there, so jealous! can’t wait so see all these gorgeous places myself, your photos give me so much wanderlust!!!! Thanks Kate – I hope you get out there next year! thank you! I’m already working out a potential budget, you can never start too early with planning a trip to some gorgeous, but faraway places. 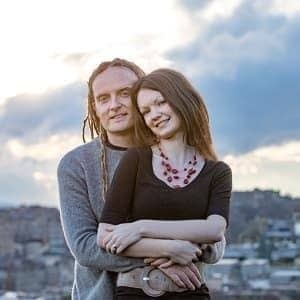 Hey Laurence and Jessica, thank you for this post! 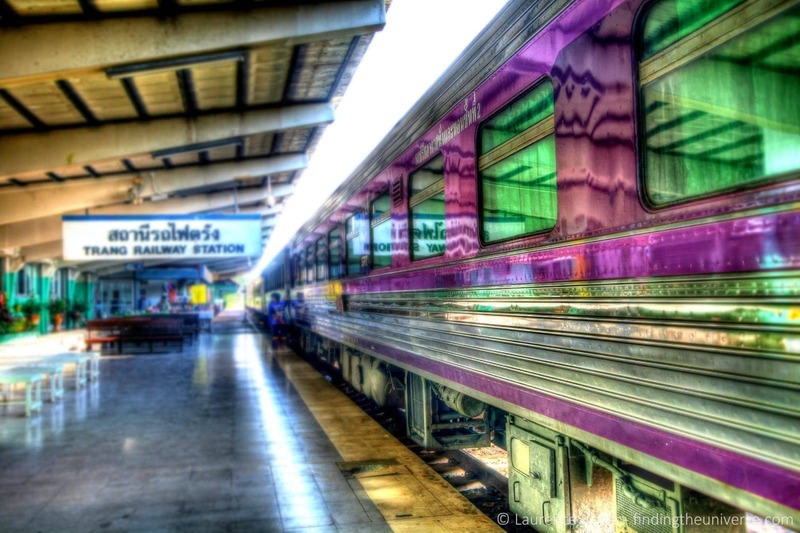 I’m planning to visit Thailand next year and will be travelling by train only. I was just wondering, did you just travel by bus all the time or bus and train? Thanks Liz! We did a mix of the two. To be honest, bus is easier as there are more roads than train lines, but you should be able to do most of the country by train quite easily still 🙂 Have a great trip! Thank you for your post. 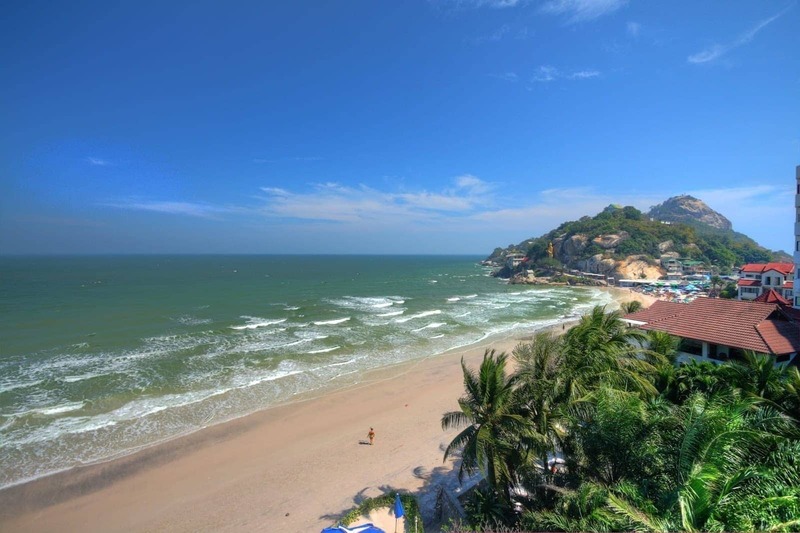 I’ve been ruminating on a Thailand itinerary for several weeks now and when I found your site, it really helped me narrow down my plans. I can’t wait to dig in a little more to your hyperlinks. I’m planning the vacation for a family of four, all adults and all very active. I think I’ve landed on an itinerary of Bangkok, Chiang May, and Khao Sok. Although we have two weeks, when I consider the time we will lose in travel, it really amounts to around 11 days. I am currently working with some tour operators to get some pricing. I’m a little hesitant because as I’ve shopped around, I’ve read on a few sites how you don’t really need to book everything in advance and will get much better pricing if I wait………however, the responsibility of the trip will really fall on my shoulders, I’m a planner, and I’d prefer not to have worry about figuring out what do when I get there. My question is that the pricing that I am getting for my itinerary is around $3500 per person including local flights but not the international. For the most part it includes most meals, guides, hotel etc. Does this seem reasonable? Hi Lisa! It’s hard to say exactly because I don’t know what your travel style is (luxury or budget), but I’d say that either way, that does seem somewhat high for Thailand. You can get accommodation from $15-30 a night for a double with en-suite, and $100 would be pretty high end. Meals are really cheap, like $5 – $10 per person. I haven’t flown internally, but again, I don’t think flights are that expensive. So given your costs are per person, I think that is somewhat high. My advice is definitely just to do everything yourself, you can book pretty much everything in advance online yourself if you want to, but yes, for the most part you are unlikely to need to book much in advance. But if you do, the links in my post, or on the travel resources page (https://www.findingtheuniverse.com/travel-resources/) should cover everything you want to know. My tip would be to use those tools initially to get a feel for pricing, then you can see how much the tour agents are adding on! Thanks for this well articulated post Norah.. can’t wait to go there!! 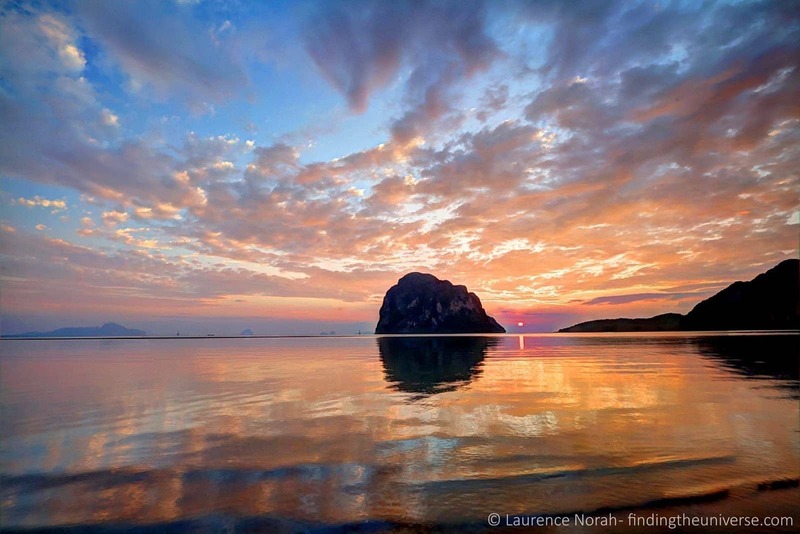 My pleasure – have a great time in Thailand! 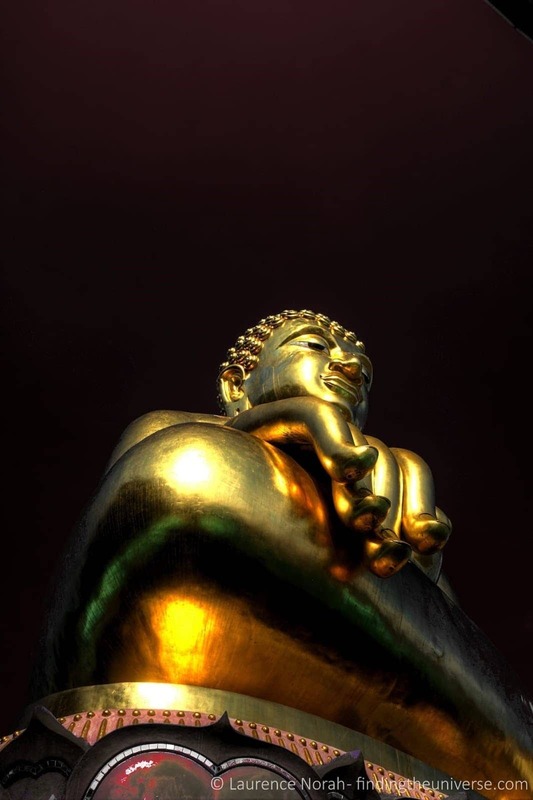 When I was planning two weeks in Thailand, I came upon your blog and, now that I have returned from my travels, I am writing to thank you for the excellent recommendations you made! I found your blog both inspiring and helpful and I appreciated the information you shared about yourselves and your interests; finding that your interests were similar to mine suggested that I could trust your recommendations, which turned out to be the case. I was travelling with my daughter and her partner. We read your blog, did further research and then booked our holiday. Shortly before setting off, I re-read your blog and realised the extent to which we had taken up your suggestions – I worried that we’d placed too much trust in you! But I didn’t need to worry! 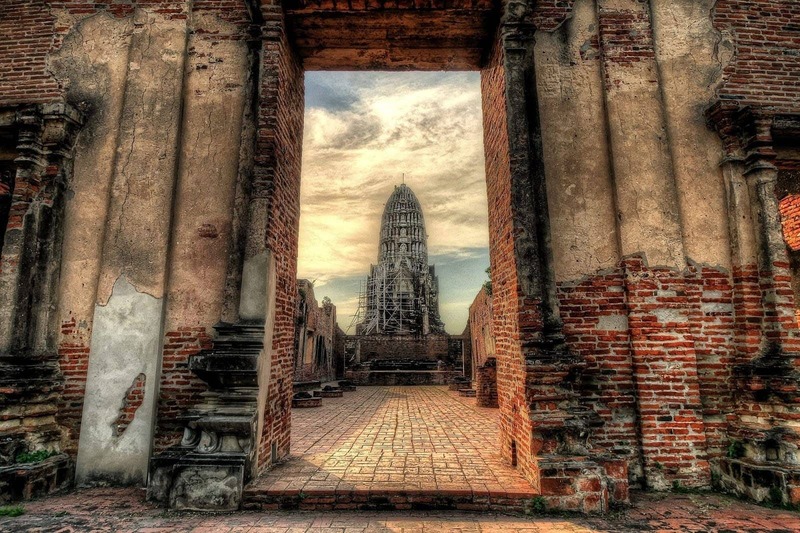 We followed your advice about staying in Ayutthaya and loved it! 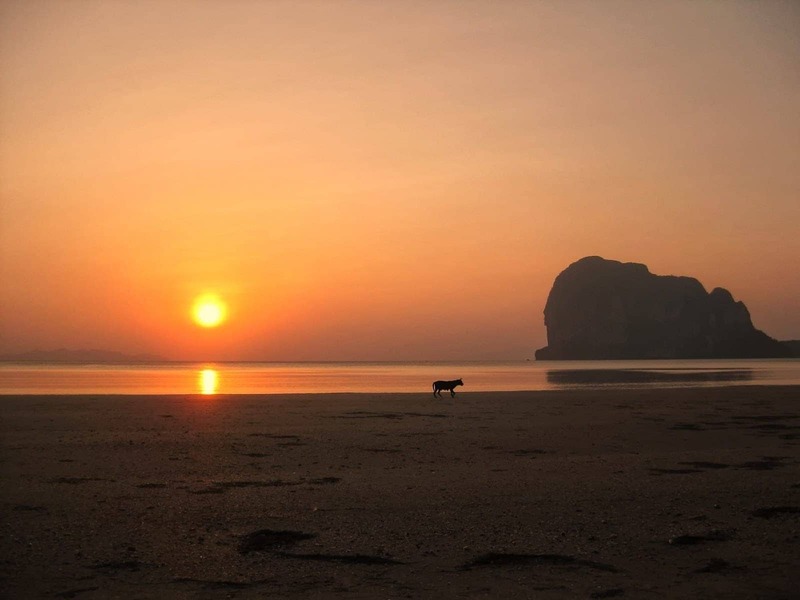 We stayed in Khao Sok and went hiking in the rainforest (day and night time hikes), spent a night on a floating raft house on Cheow Lan Lake, and then we headed to the beach on the far south of Ko Lanta, where we stayed in bungalows practically on the beach. The whole holiday was amazing, and gave us opportunities to explore history, culture and the natural world, to be active on land and in the water and to capture some of the beauty on camera. I’m writing this to reassure other readers that your recommendations are spot on! I also want to add one or two pieces of information that I would have found helpful. The Thai people I encountered were incredibly helpful and we managed to get to and from even fairly hard-to-get-to places without too much difficulty. Mosquitoes were far less of a problem than I expected, both in the rainforest and at the lake. I was a little concerned to find that our lake house had no mosquito nets and that the windows didn’t close, until our guide explained that there were no mosquitoes at the lake. Smiley’s Raft Houses are fairly basic, but do have en suite facilities; I’d imagined having to pick my way to dry land by torchlight if I had to go to the loo in the night, but there was no need. In addition, the food provided at Smiley’s was plentiful and delicious. We did need decent trainers or walking sandals to hike up the river and through the cave, but it was possible to borrow some suitable rubber plimsolls at Smiley’s. We also needed dry bags for the hike (just for camera, phone etc., because we’d left our overnight bags at the raft house) and these needed to have a shoulder strap so both hands were free for negotiating difficult bits of the hike. However, we were able to borrow these from Morning Mist and they were also available to buy in Khao Sok. I was a bit unsure about going through the cave and decided to take a shorter hike, where we went about 100 metres into the cave rather than going through it for 800 metres. This meant we were only wading through water up to our crotch, rather than up to our neck, and we still got a good sense of the cave. The whole raft house experience was utterly amazing – swimming in the lake right from your raft house was blissful – but grab the opportunity – the itinerary is pretty packed! 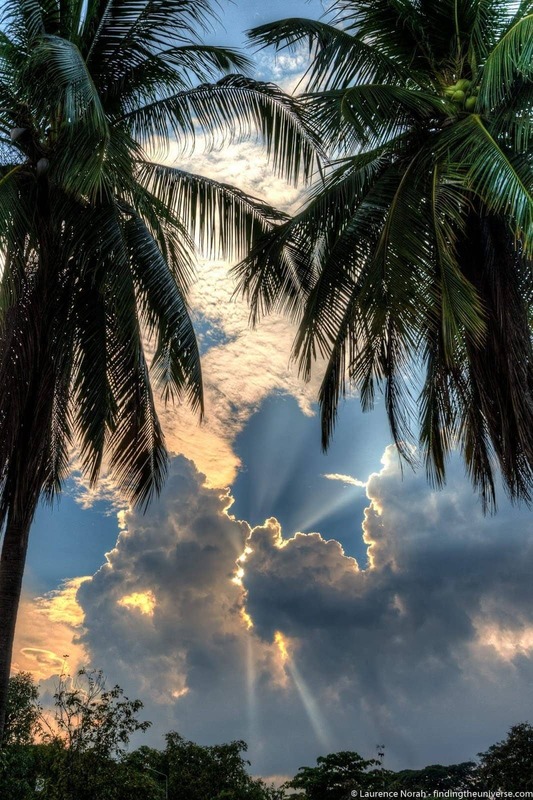 And be sure to take a phone and set an early alarm – I got some great photos of dawn light over the lake, and then more photos of sunrise over the lake as we set off on a morning boat ride. Final tip – the slightest hint of a breeze sends masses of spray into the boat, so quick-drying walking gear is the best bet and a cover for your rucksack. If you’re reading Laurence and Jessica’s blog and are feeling tempted to follow in their footsteps, go for it! Can’t wait to go there and now I know where to go 🙂 Beautiful photos by the way.